Tonight Silas wrote a note to the tooth fairy requesting that she not take his tooth. He wanted to keep the first one. The note was plain and simple. “Do not take my tooth. 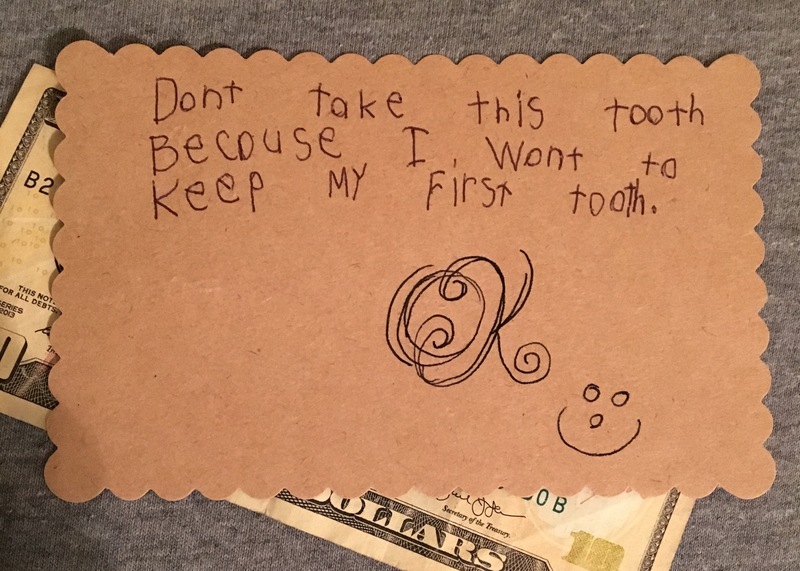 I want to keep the first one.” Davis told Silas this was inadequate, that he needed to say something nice about the tooth fairy first and persuade her not to take the tooth. 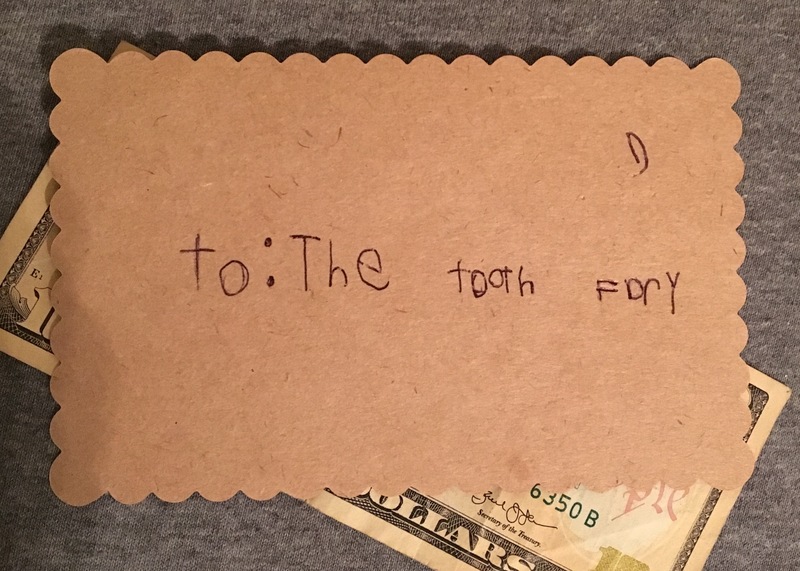 Silas didn’t listen, but the tooth fairy did oblige, leaving the tooth safely under his pillow along with a signed “OK” on the note and a $10 bill.